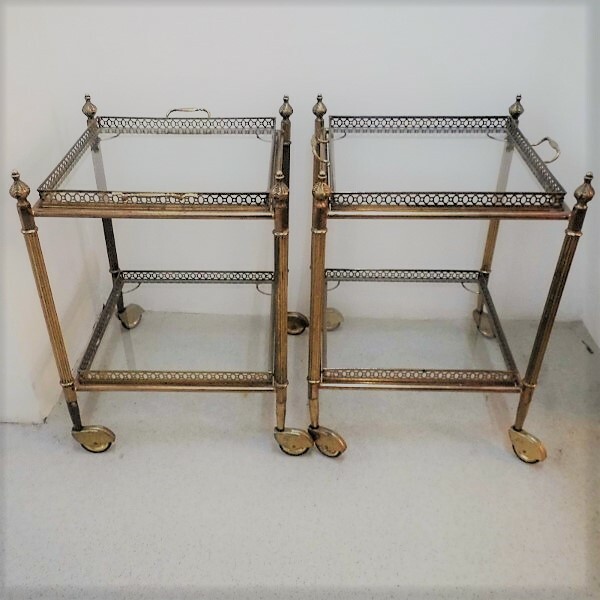 A very nice Pair of Vintage Brass Trolleys made in England circa 1950. 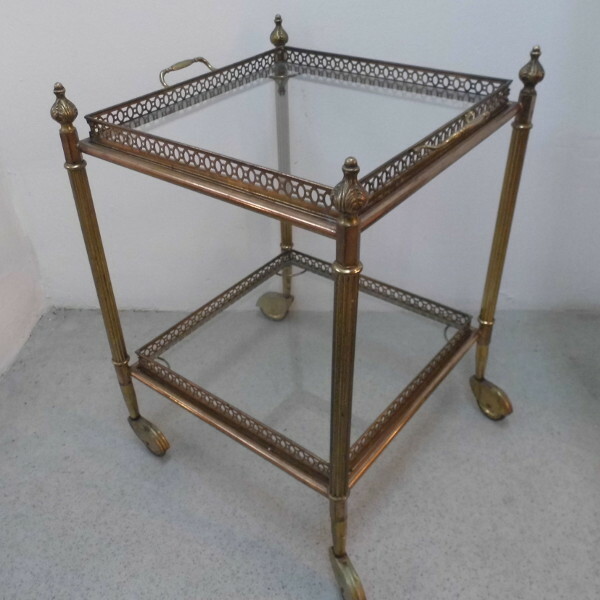 A small and cute pair of two tier brass trolley tables each having to lift out glass bottomed trays. They have some nice styling details such as the finials, reeded brass legs and pierced gallery rails. 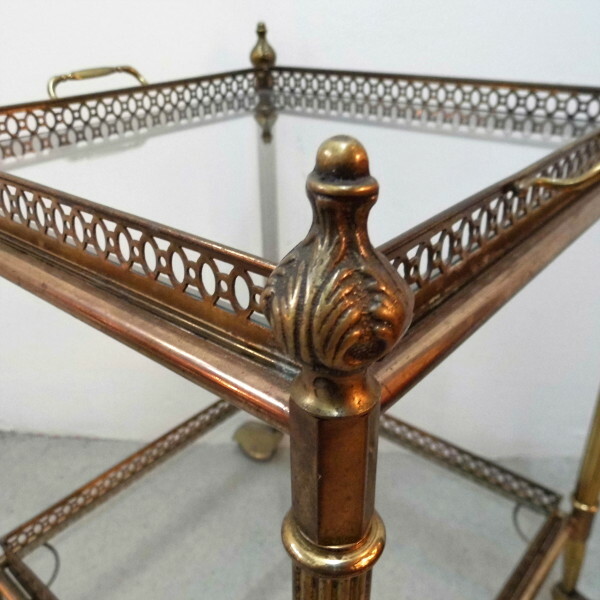 These trolley tables would look great either side of a sofa and the classical styling works well with most decor. They are in good vintage condition and move smoothly, we have not polished the brass although this can be done easily if required.